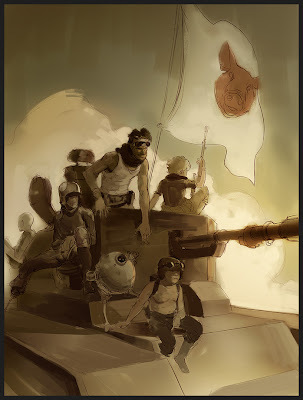 Some progress on the illustration. I don't think it's quite working ... might need to rethink what I just did on it. Nice b - its a really good start that's for sure. What kind of changes do you think you'll make to get it working in your eyes? this go very well done!